The application and data group whose relationships should be defined are selected here. 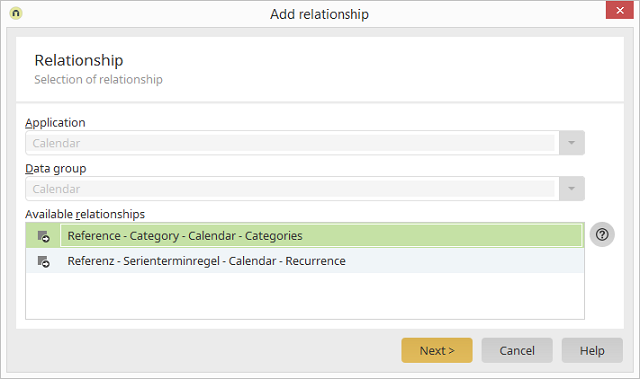 The system automatically recognizes the relationships to other data groups and offers them for selection. A distinction is made here between references and parent-child relationships.